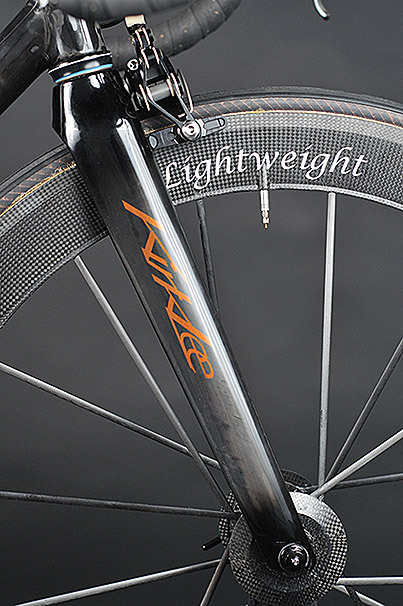 This 650c KirkLee is a one off custom, designed from the ground up to go fast. 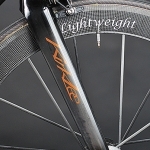 The top tube is KirkLee’s own in house manufactured design. 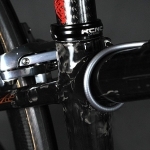 The down tube is smaller in diameter than the standard KirkLee down tube and has a more aggressive ovalization at the bottom bracket than the standard down tube. 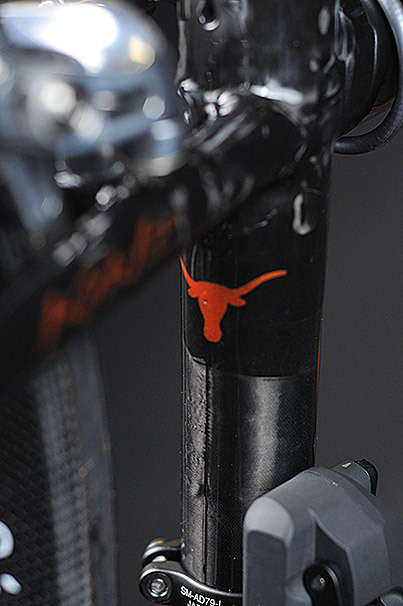 To save weight and increase aerodynamics the head tube is smaller diameter than a regular KirkLee and utilizes a standard 31.8 headset. 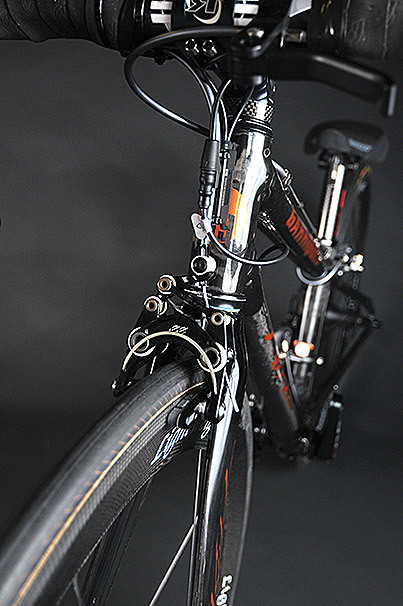 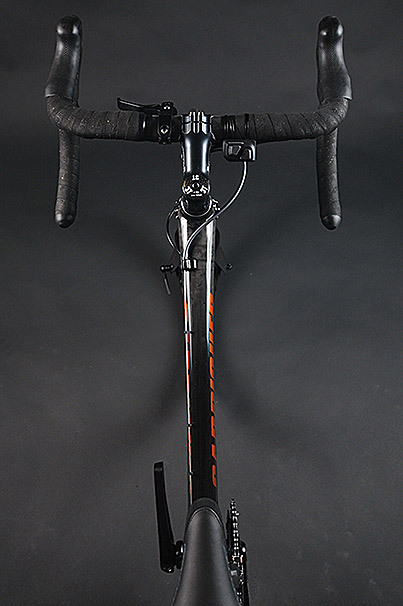 The rear of the bike uses independent seat stays and a titanium brake bridge co-molded into the frame. 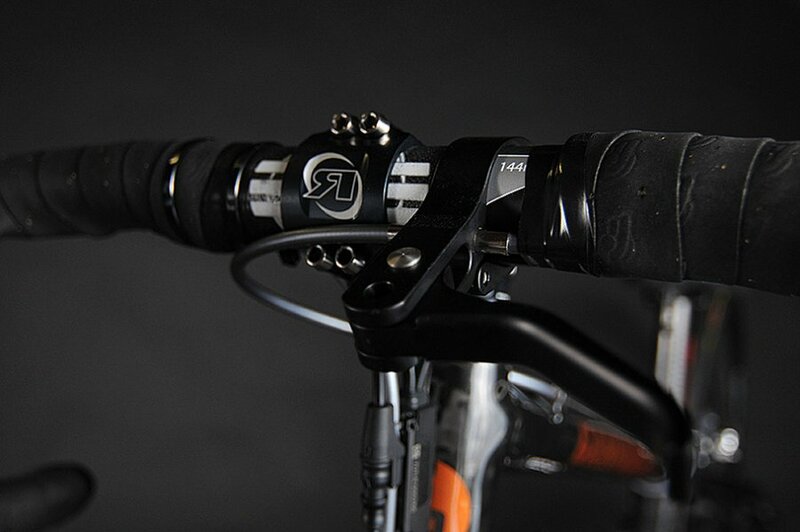 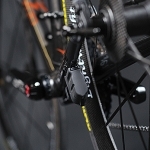 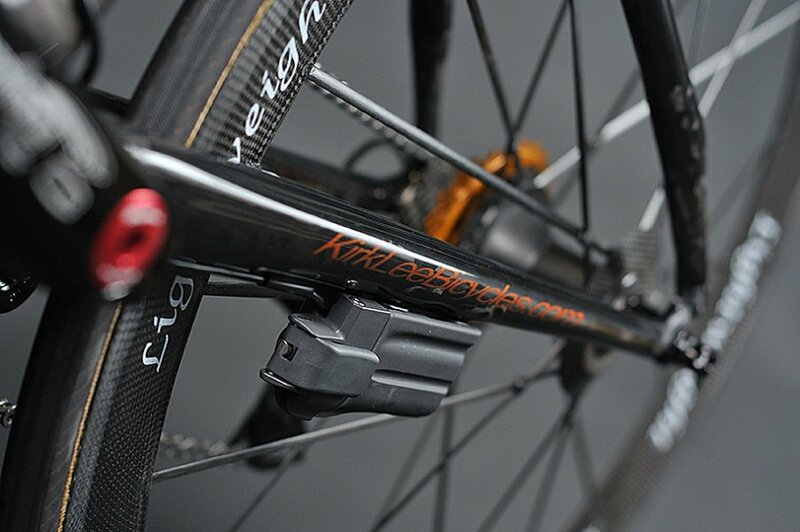 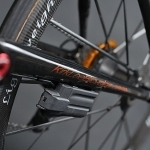 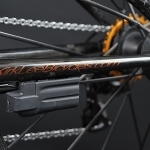 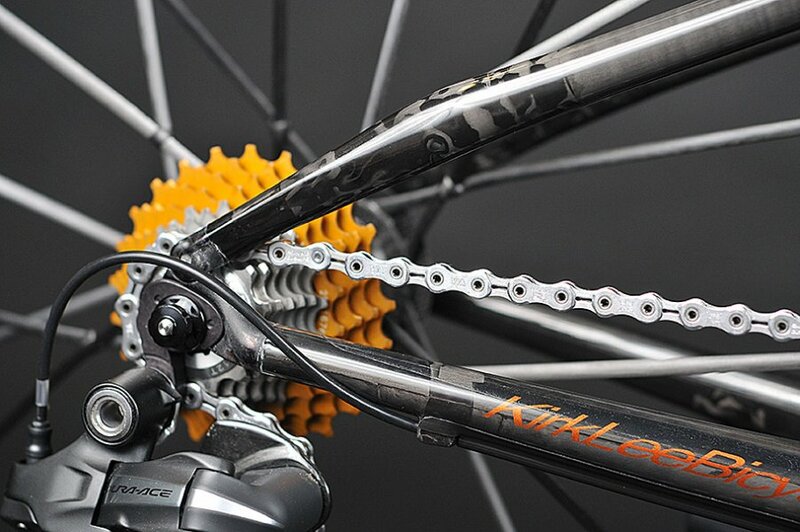 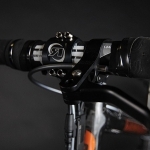 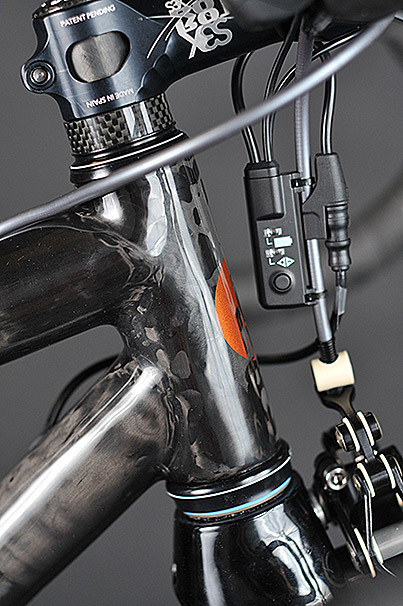 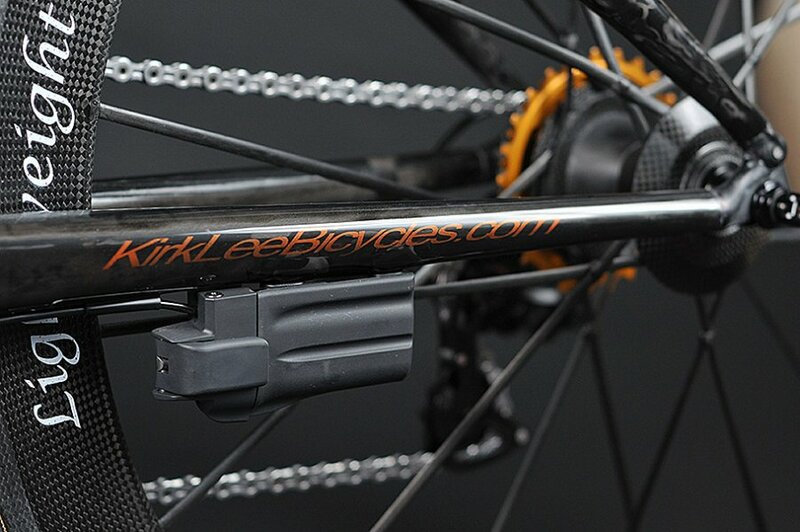 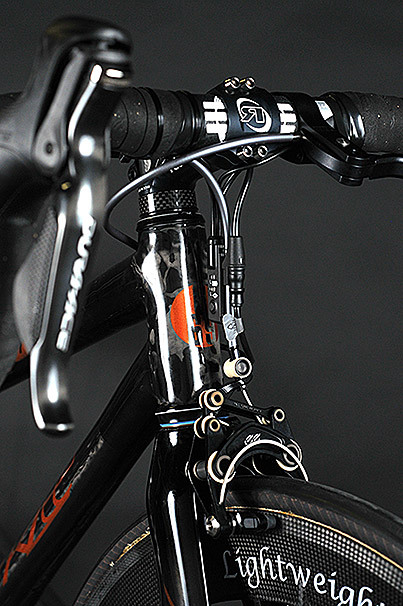 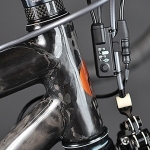 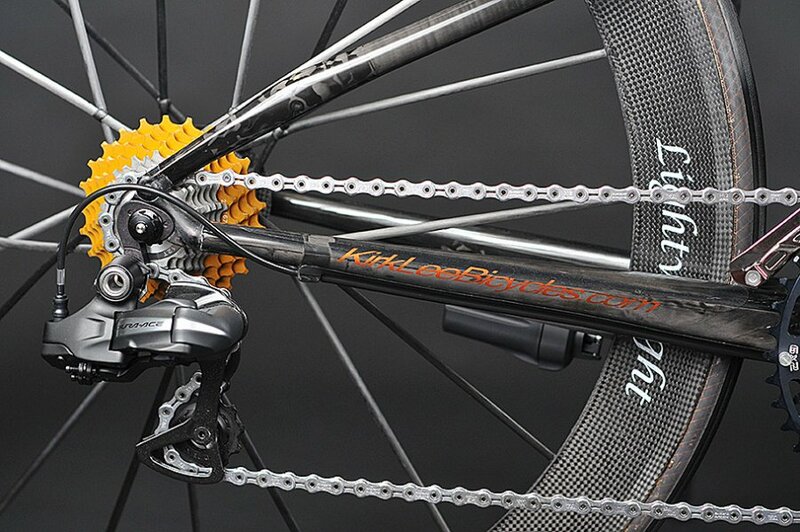 As with all KirkLee’s cables, they are held with full carbon stops. 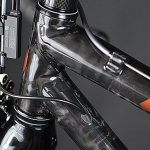 In joining the tubes we rethought every joint and modified the carbon layers accordingly. 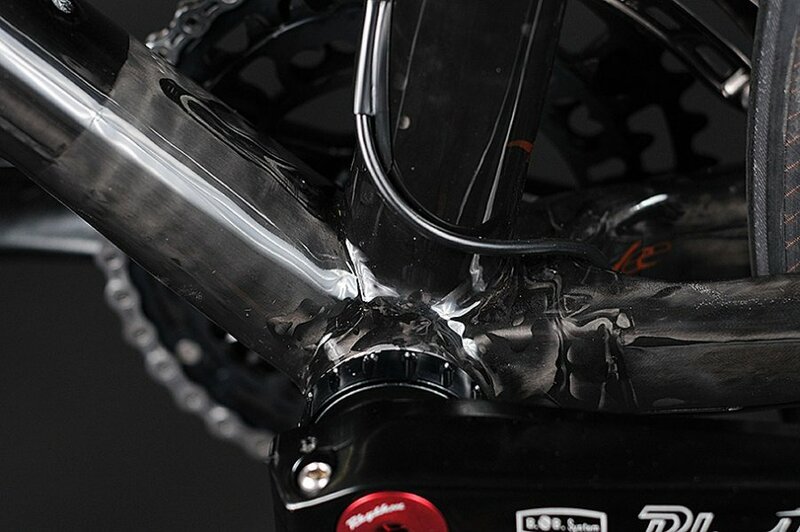 Every tube junction on this bike is flawless and contains beautiful carbon work. 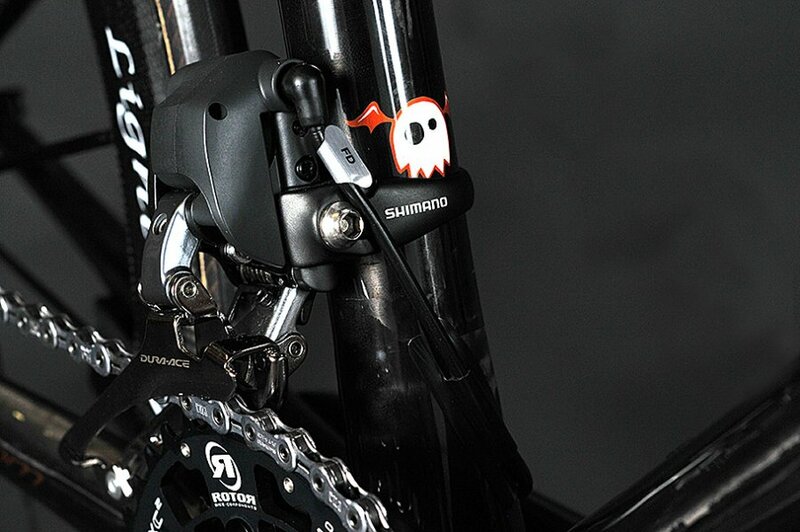 The bike is built with Shimano Di2. 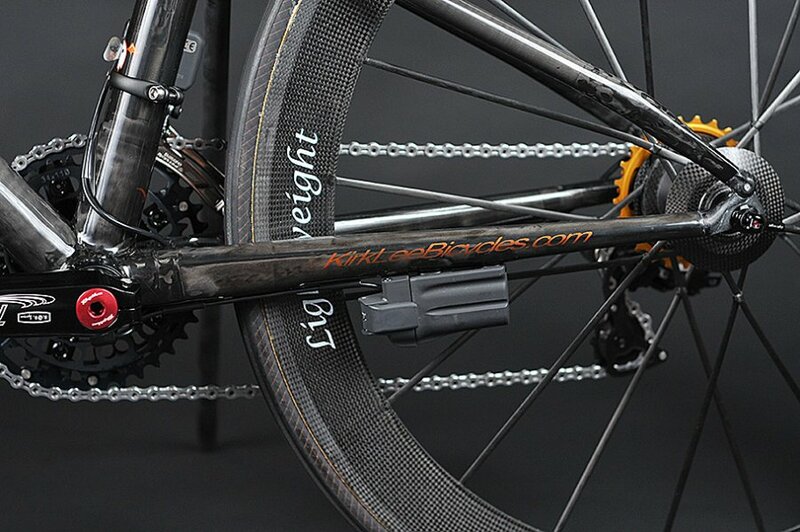 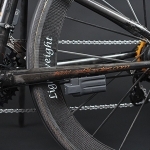 Due to the small frame the battery is mounted under the non-drive chain stay. 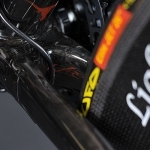 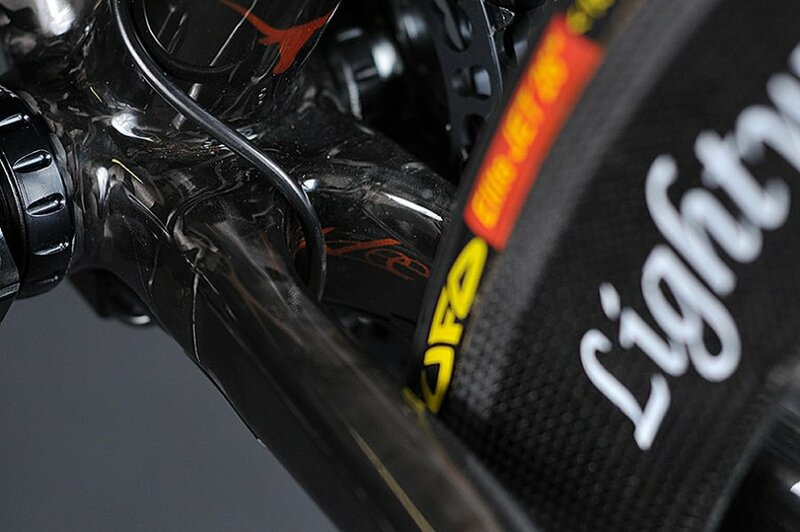 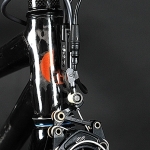 The brakes are run motocross style and the top lever activates the rear brake. 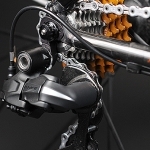 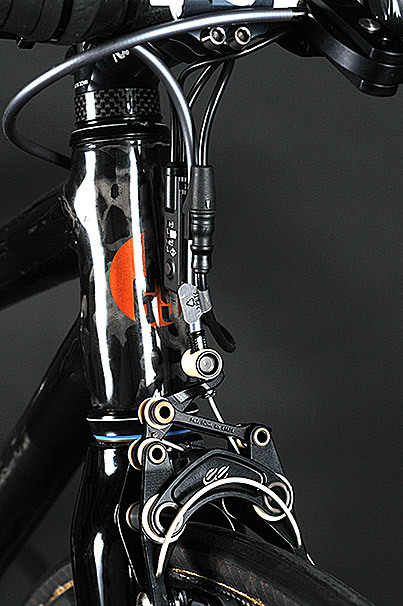 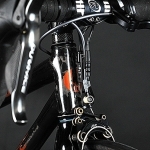 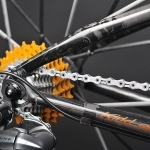 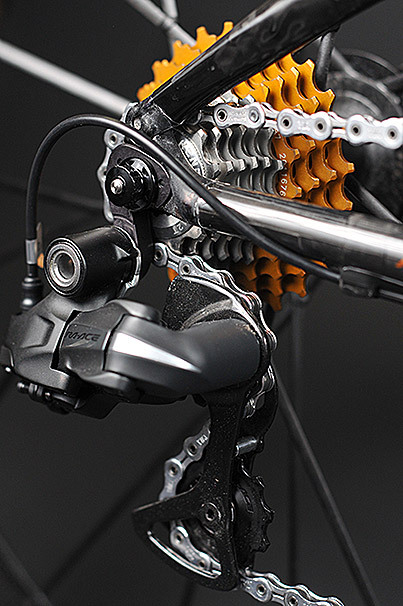 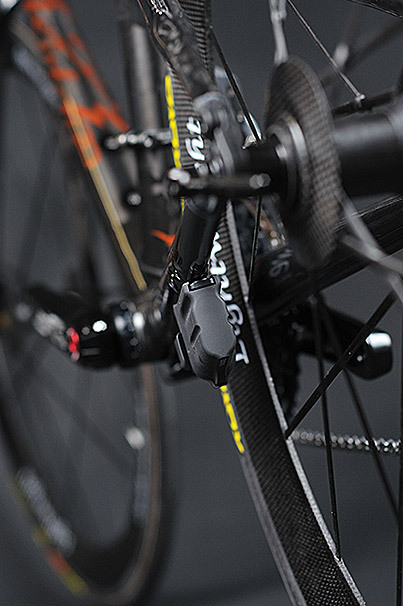 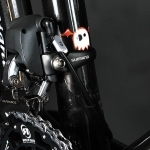 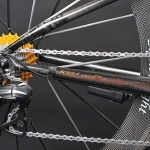 Shimano remote shifters operate the rear derailleur independently of the Di2 STI shifters. 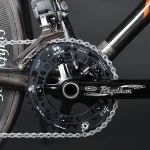 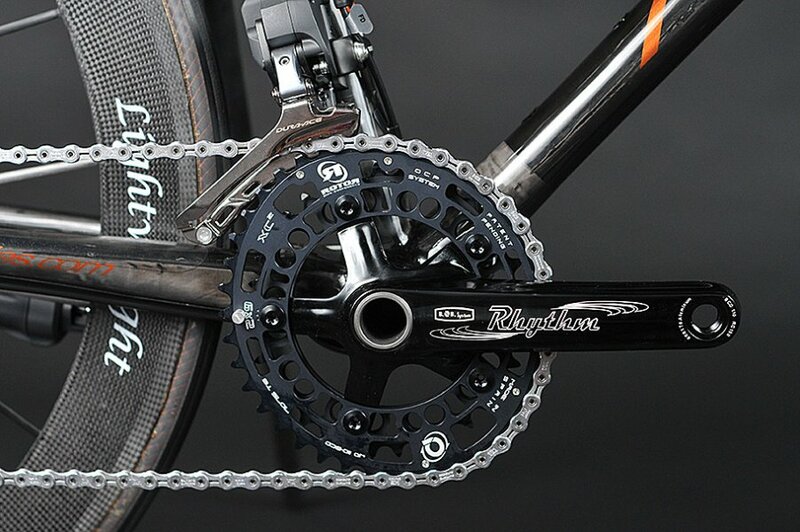 Rotor USA supplied the chainrings (40/34), stem (80mm) and ceramic BB. 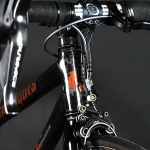 Crupi provided the 150mm cranks. 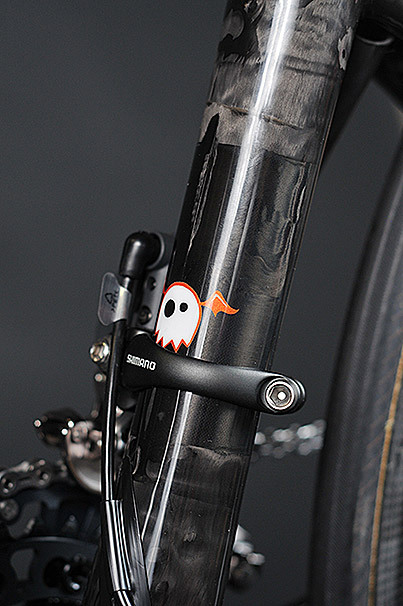 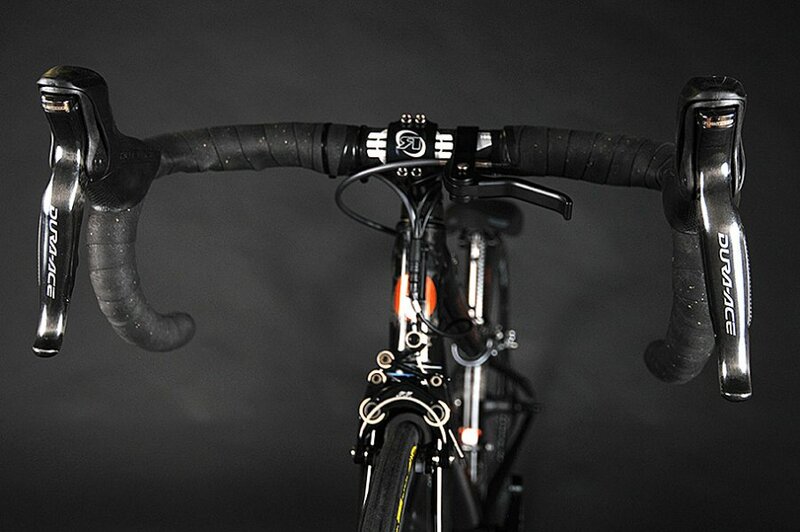 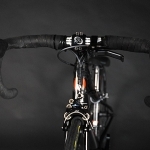 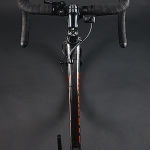 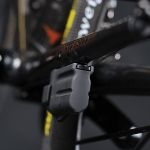 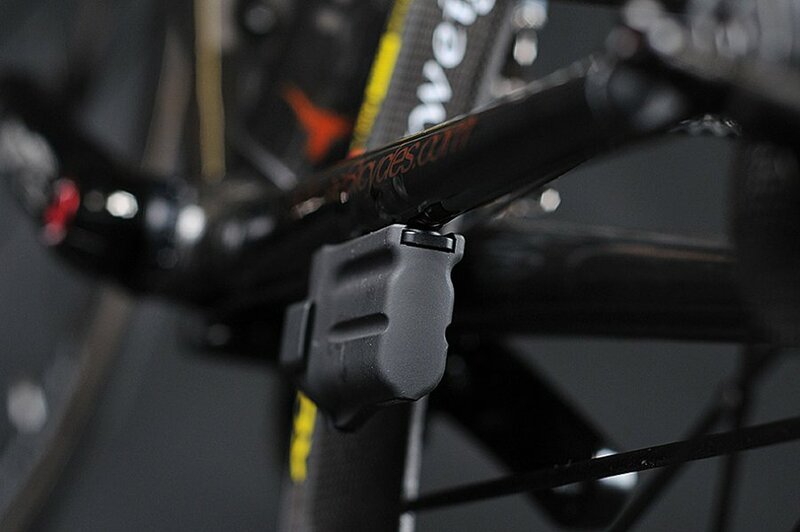 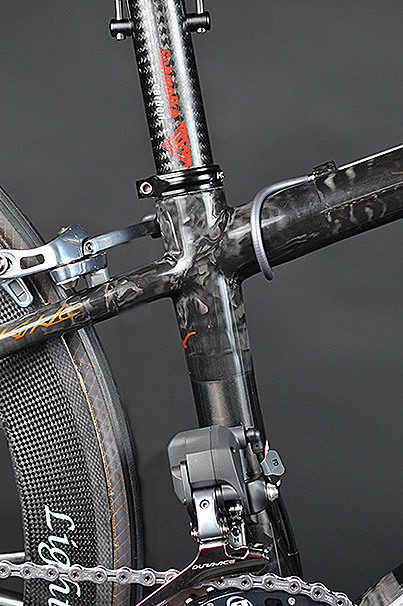 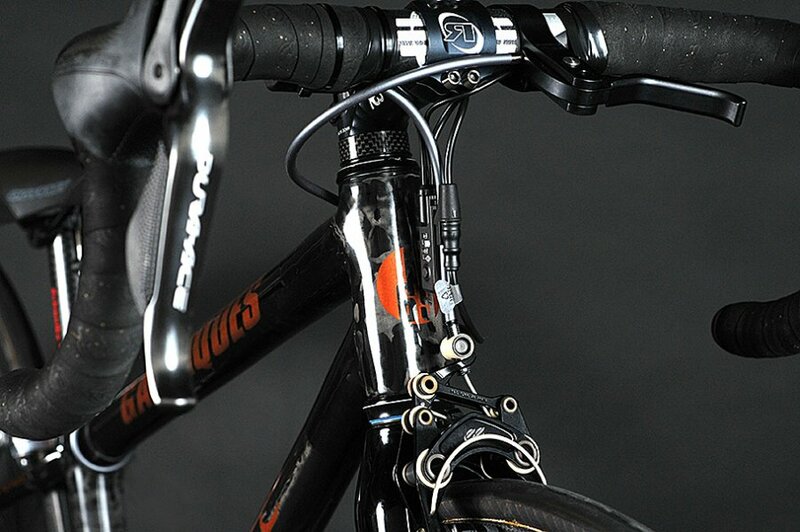 The narrow 36cm handlebars are from Enve Composites. 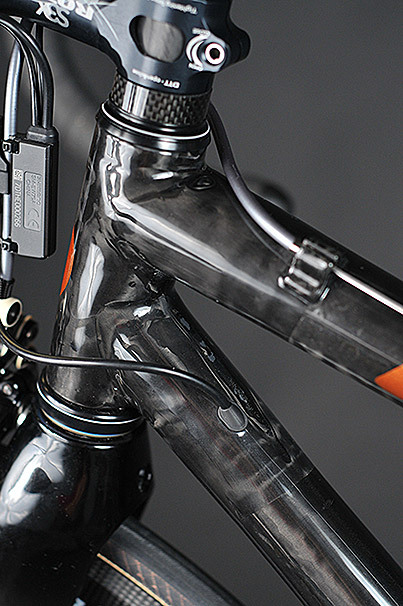 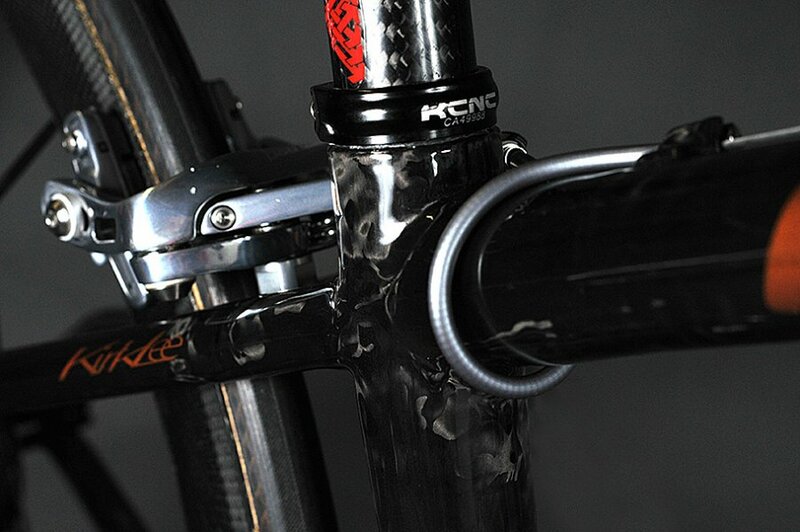 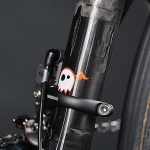 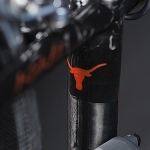 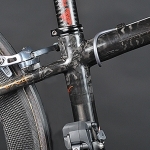 Schmolke manufactured the seat post while KCNC offered the cassette and seat clamp. 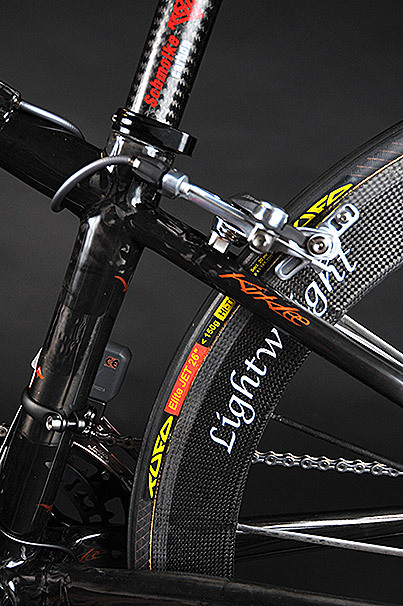 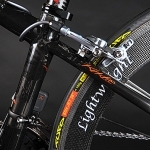 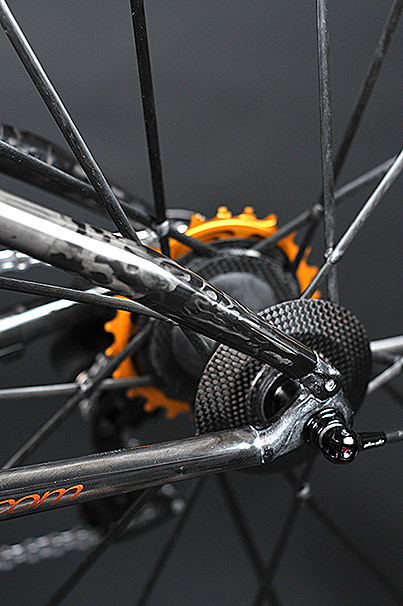 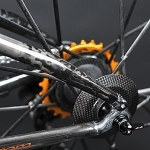 Lightweight built a stunning set of 650c wheels that are fitted with Tufo tubulars. 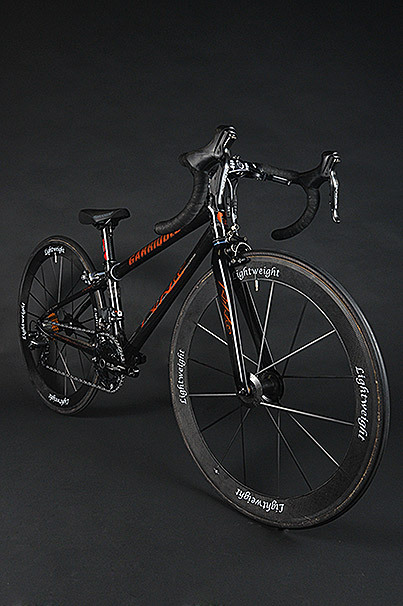 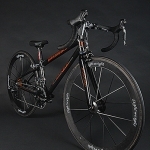 At KirkLee we like to build a few “custom” bikes each year and this bike is amazing. 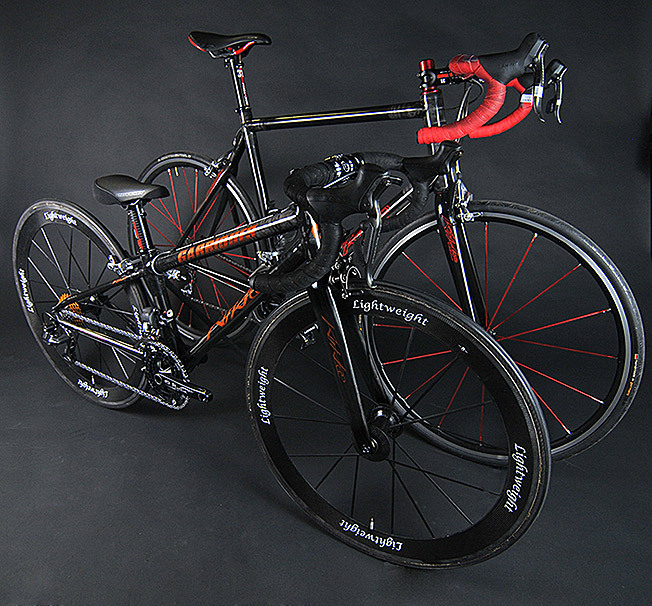 We appreciate the opportunity to build one off custom bikes in addition to “normal” custom frames. 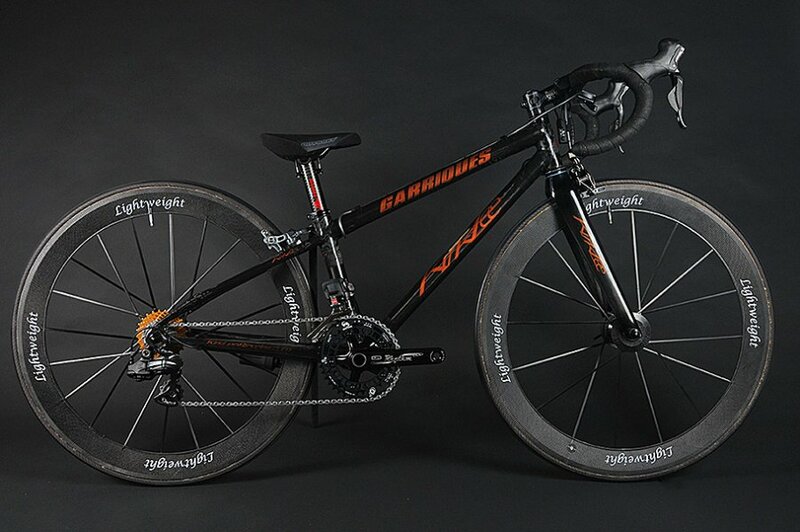 One of the coolest bikes I have ever seen.